I’ve always been a fan of cover albums. Most modern music critics have successfully instilled the belief that cover albums signal a lack of creativity and therefore are a veritable source of derision. To me, just as two people can utter one word differently, cover albums are always an intriguing opportunity to examine how a carefully selected batch of songs sound like when interpreted by a new mouthpiece. Some have even turned it into an art: Cat Power is so much of a master in covering (or uncovering, rather) other people’s songs, she’s turned in two full-length albums solely of covers and included her take on Rihanna’s “Stay” on last year’s excellent Wanderer. Meanwhile, Kelly Clarkson makes covers a fixture in her live shows, running the gamut from Janet Jackson to Mazzy Star. Some of the most critically acclaimed or influential albums of all time, in fact, are evenly split between original songs and cover versions: think I Never Loved a Man the Way I Love You or She’s So Unusual or Let It Die. 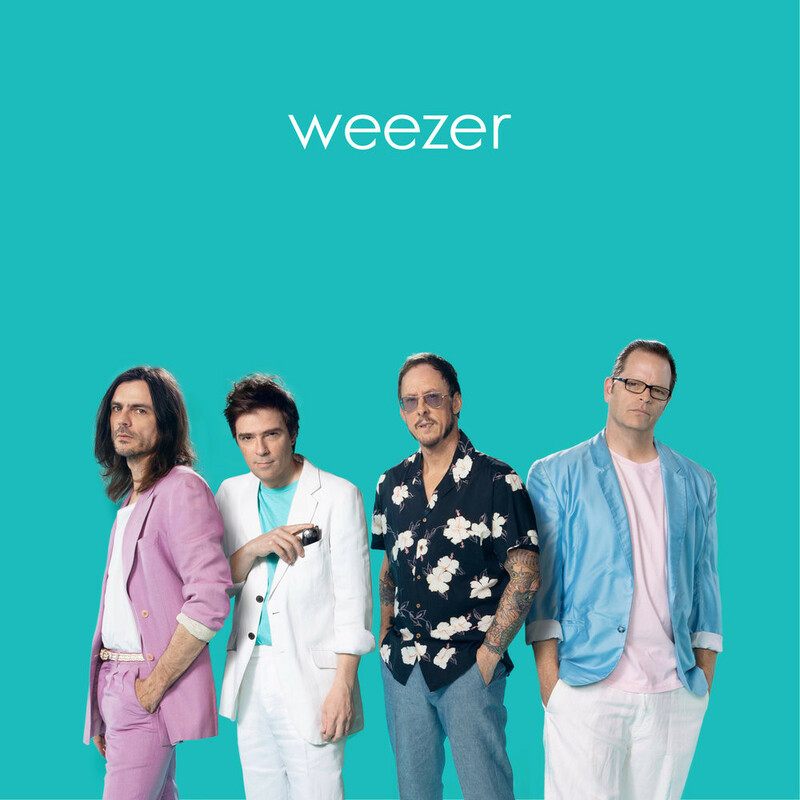 While Weezer’s latest offering – its fifth to be self-titled and only distinguishable from the other four by the color scheme of its, well, cover – shows not the slightest sign of being proximally influential, it’s a self-aware, often humorous romp that’s very much on brand with the band’s ethos ever since the blue scheme in its palette launched the Californian band’s career in the mid-90s and turned them into nerd-rock paragons. The Teal Album – or Teal, for short – was released without any foregoing announcement and is meant to be a palate cleanser of sorts before the shade is expected to turn Black by next March. Perhaps it’s not incidental that the group chose this particular color as a backdrop to its first cover album: Teal symbolizes unconventionality and favors uniqueness, but is also cautious, not impulsive and – here comes the catch – does not take unnecessary risks. It’s the latter trait that more or less epitomizes Teal. Over the course of Teal, Weezer wades through 10 disparate reinterpretations: the bulk of which are 80s pop mainstays, including Tears for Fears (“Everybody Wants to Rule the World”), Eurythmics (“Sweet Dreams (Are Made of This)") – on a related note, Annie Lennox’s solo discography is mostly made up of cover albums, including 1995’s Medusa, a soulful, feminine flip on songs strictly by male singers), a-ha (“Take On Me”), Michael Jackson (“Billie Jean”) and Toto (“Africa”). Internet researcher Kate Miltner points to the earnest and nostalgic nature of “Africa” as the main contributing factor to the song’s puzzling surge in cyber popularity within the past few years. Nostalgia, as we know it, has become the favorite mass-culture exercise during the better part of the decade; it’s telling that the campaign to get the band to cover “Africa” was spearheaded by a 14-year-old girl. Therefore, it was only fitting that a band like Weezer, which has thrived on wholesome nostalgia since its very beginning anyway, would jump on the bandwagon. Yes, it’s gimmicky. Yes, it’s not the most inspired or imaginative covers album ever. But does it have to be? For one, you can’t say it’s not enjoyable in its terse breeziness: clocking in at a little over half an hour, it makes for the perfect soundtrack to your Sunday morning cleanup. And you definitely can’t tell me the band was not committed in its note-for-note renderings of these classic hits, so much so you can almost feel the nervous sweat drop through the speakers. Elsewhere, The Turtles’ “Happy Together” (duh), Electric Light Orchestra’s “Mr. Blue Sky” (of course), Ben E. King’s “Stand by Me” (what else?) not only round up the collection but also sound so ingrained in Weezer’s DNA, you wonder what took Cuomo & Co. this long to tackle them full-on. However, it’s the band’s take on TLC’s modern classic “No Scrubs” (personally my most favorite song of all time and karaoke staple next to Christina Aguilera’s “Genie in a Bottle”) that takes the cake. While on paper it might seem like the most unexpected and audacious choice, it makes a whole lot of sense: both Weezer and TLC are actually peers, starting out at around the same time and at one point equally dominating award shows. British outfit Bastille might have come up with the superior re-imagining, but props up to any white, heterosexual male rockers who didn’t feel the need to flip the pronouns on the feminist anthem. (Chilli, the C in TLC, approves of the guitar-heavy excursion). 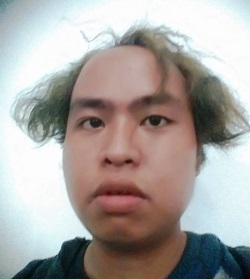 Fajar Zakhri is based in Jakarta and frequently writes about popular music and culture, social commentary and personal reflection on issues that concern and/or affect him in general. He contributes to media outlets such as Magdalene, Globetrotter and The Sympathizer.